The fish are at it, and we want you to watch. All in the name of science! With longer days and warmer weather, our rivers spring into life becoming a hive of activity. Our precious aquatic life has been waiting for the warming spring sunshine and the rise in river temperature to complete their annual cycles of reproduction. We want you to stop for a moment look down the bank and peer through the water to marvel at nature’s spectacle of fish spawning. 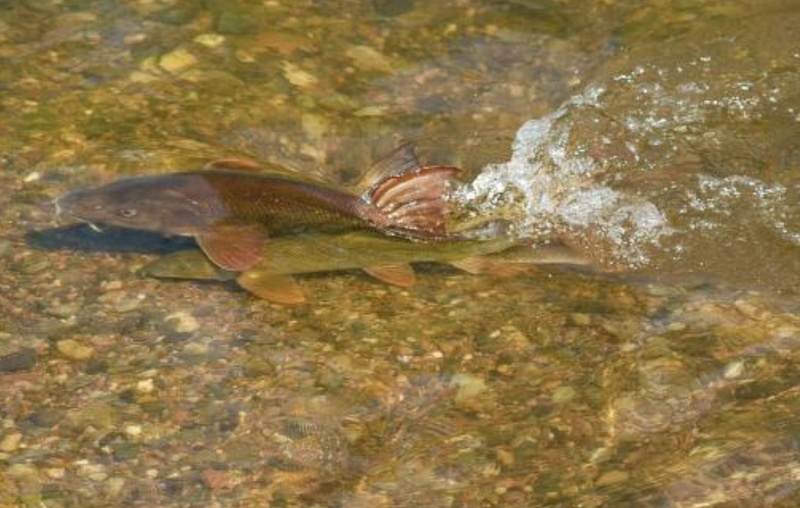 Watch as the smaller male barbel fight for the right to pair with the much larger female. Witness the game of chase between large male and female carp in our stillwaters. Be dazzeled by the silvery flashes from the roach as they writhe around sticking their eggs amongst the water weeds. See the delicate but fastidious nest building of the almost prehistoric looking Sea Lamprey. These are only some of the fish species that provide this mesmerizing spectacle if you stop and take the time to peer through the surface of our brooks, rivers, ponds and lakes. 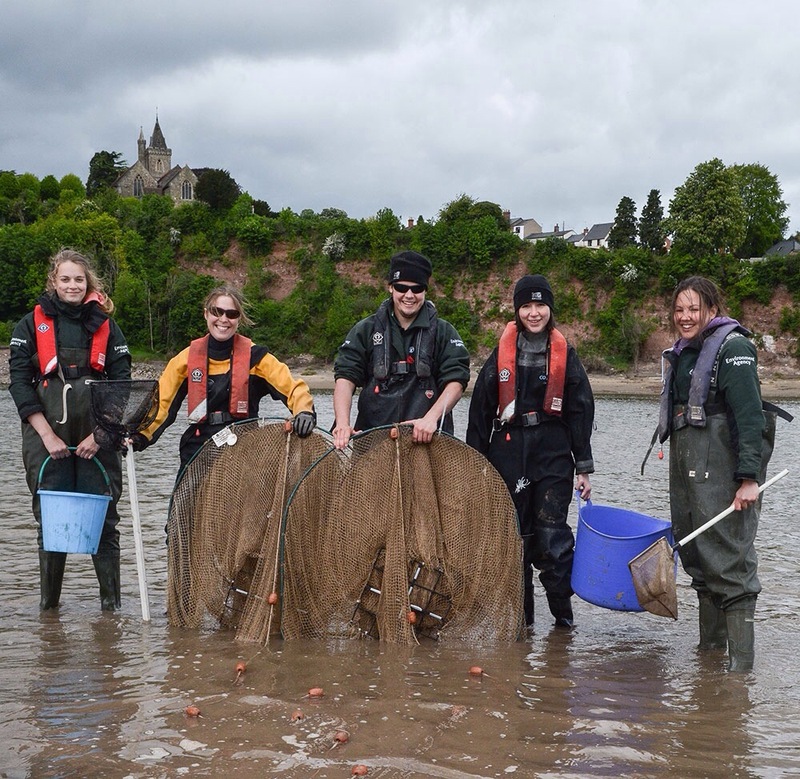 The resident fish, mammals, bugs and beasties are all an indication of the health of our rivers. Fish spawning indicates the right environments are present to reproduce and each species will need some special niche and exact conditions in order to complete their breeding cycles. By watching and recording we can monitor the health of our rivers, so please join in with #spawningwatch and share your experience. We would like to take an opportunity through social media to raise awareness that many fish species that are spawning at this time of year. Those folk who really want to get involved like our friends in the angling community can also help by identifying either known or suspected prime spawning sites e.g. really clean gravels or prime weed beds. Barbel Shallow, sand/fine gravel substrates, submerged vegetation. Moderate to strong flow, high O2, sand/gravel/pebble substrate, associated with riparian and in-stream cover. Lithophilic – gravel and pebbles, 30-40cm, min. 14oC, April – July. Bleak Backwater and side arms with vegetation. Enriched slow flows, main channel and backwaters. Phyto-lithophilic- gravel and vegetation, shallow water, min. 15oC, April – July. Bream Silt substrate and vegetation moving to sand/gravel substrate avoiding submerged vegetation. Back waters and deep slow flows. Will tolerate brackish water. Phyto-lithophilic – vegetation and sometimes gravel. 50-90cm, 12-25oC, May – June. Bullhead Gravel/pebble/cobble substrate, variable flow. Gravel/pebble/cobble substrate, variable flow. Gravel/pebble substrate, nest builder, March – May. Carp Slow flows, thick vegetation, backwaters. Slow flows, thick vegetation, tolerate enrichment and low DO. Phytophilic- vegetation, 80-100cm, min. 18oC, May – July. Migrate to spawn. Chub Sand/silt substrate, slow flow, shallow eroding areas Gravel substrate, moderate flow, in-stream obstacles/cover. Will tolerate slow flows. Lithophilic – gravel, depth not important, 18-20oC, May – July. 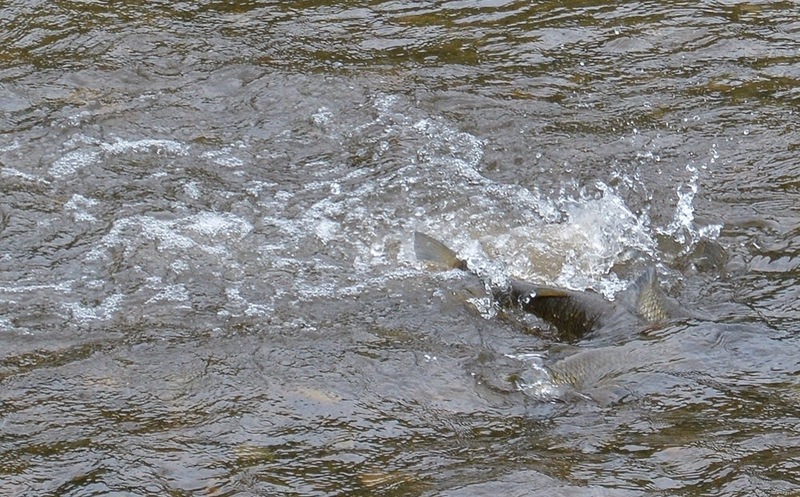 Multiple spawning. Local migration to spawn. Dace Cool, shallow waters, gravel substrate, shallow banks, avoid submerged vegetation. Sand and gravel substrate with moderate to fast flows. Avoid silt/mud substrate. Tolerates brackish water. Lithophilic – gravel, shallow, good flow, 6-9oC, March – April. Eel Migrate into freshwater as elvers utilizing a wide range of habitats. 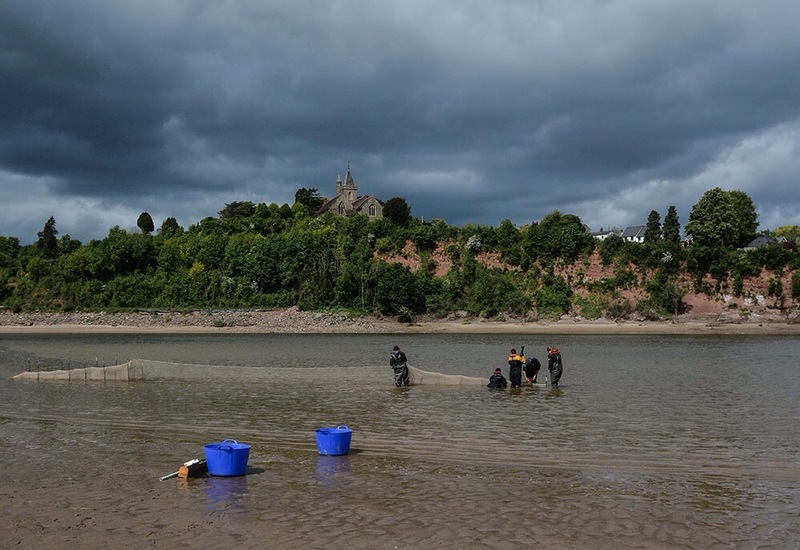 Wide range of habitat preference – rip rap to silt beds. Downstream migration of adults. March – June in Sargasso sea. Grayling Cool well oxygenated water, gravel substrate, bankside marginal habitat. Cool oxygenated water, gravel/pebble substrate, fast flows, avoid heavy vegetation, pH 6.5-9, O2 5-7mg/l at 20oC, 4-18oC. Gravel/pebble substrate, 3-14oC. March – June. Local migration. Gudgeon Shallow areas close to bank vegetation cover. Sand substrate, slow – moderate flow Psammophilic – sand or gravel amongst vegetation, 17oC+, May – July. 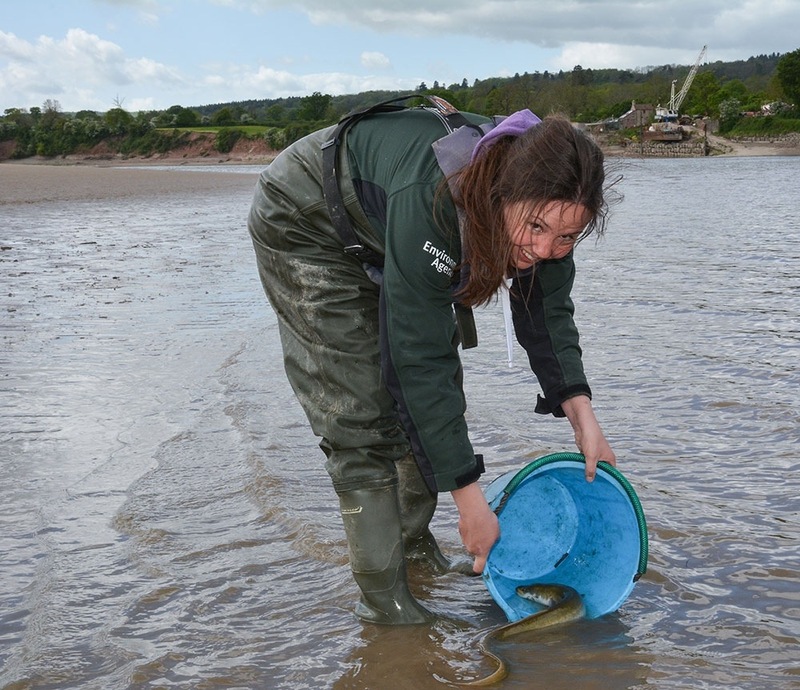 Lamprey (Brook) Sand/silt beds, slower flows Clear, gravel/pebble substrate, medium flow Gravel/pebbles, good flow, June – July. Minnow Shoaling species, well oxygenated, prefer gravel/pebble substrate in marginal habitat. Shoaling species, well oxygenated, prefer gravel/pebble substrate in marginal habitat. Gravel/pebbles, good flow, 14-16oC. April – June. Migrate upstream. Perch Shallow, vegetated bankside Submerged vegetation, slow to moderate flow, associated with complex habitats. Phyto-lithophilic – silt/sand, vegetation essential, deep water, 8.5-13oC, April – May. Pike Vegetation, shallow, sheltered water. Silt/sand substrate, slow flow, deep water with submerged vegetation. Phyto-lithophilic – silt/sand, vegetation essential, deep water, 6-8oC, March – May. Roach Sand/silt substrate, slow flow, dense vegetation Sand/gravel substrate, bankside vegetation and sections of open water with faster flow. Fixed home range. Phyto-lithophilic – emergent and submerged vegetation, stones, 15-150cm depth, 7-21oC, April – June. Migrate to spawn. Rudd Slow flows, thick vegetation, backwaters. Slow flows, thick vegetation, backwaters. 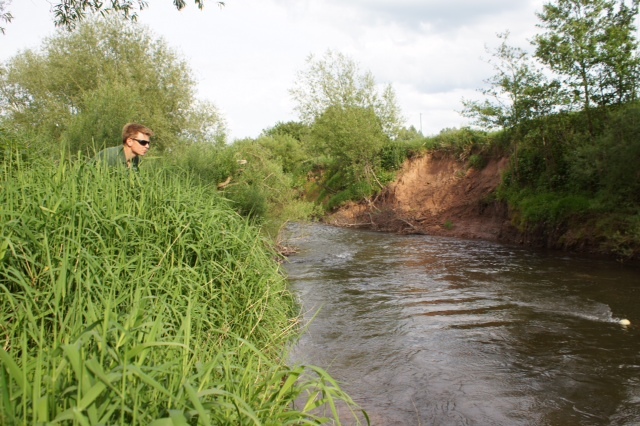 Phytophilic – dense macrophyte growth, 10-90cm, 14-20oC, May – July. Ruffe Slow flow, submerged vegetation, benthic species. Slow flow, submerged vegetation, benthic species. Phytophilic – submerged vegetation, March – May. Salmon First few years in freshwater then downstream migration to sea. Anadromous. Migrates to freshwater fully grown to spawn. Cobble/pebble substrate, fast flow. Gravel/pebble substrate, fast flow, October – January. Migratory. Spined Loach Benthic, silt/sand substrate. Slow flows, sand/silt substrate. Benthic species, burrow into substrate. Small streams – lakes. Phyto-lithophilic – gravel and vegetation. April – July. 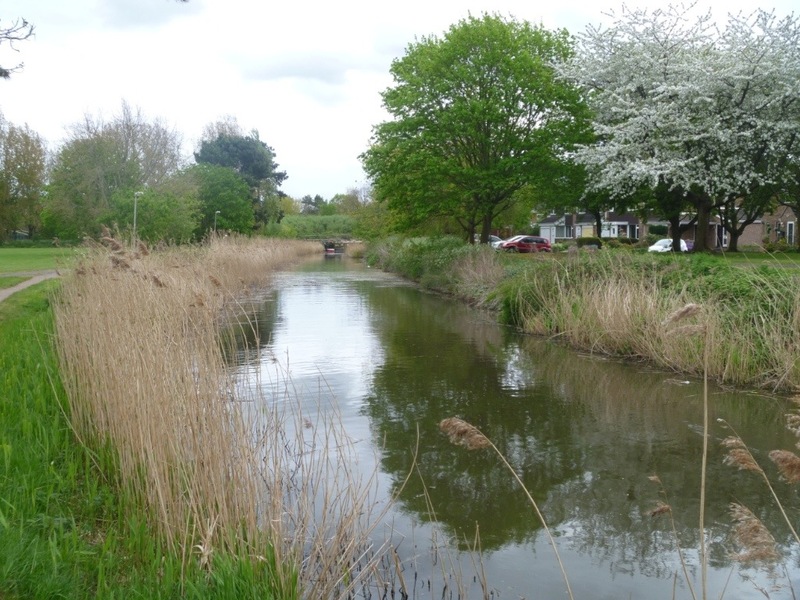 Stickleback Wide range of habitat preferences including estuaries, thick vegetation. Wide range of habitat preferences including estuaries, proliferates in thick vegetation. Phytophilic – builds nest. March – June. Stone Loach Sand/gravel substrate, variable flow, dense vegetation. Sand/gravel substrate, variable flow, dense vegetation. Phyto-lithophilic – gravel and vegetation, good flow. April – May. Tench Silt substrate and submerged vegetation. Shallow back waters and slow flows. Silt substrate and submerged vegetation. Shallow back waters and slow flows. Phytophilic – submerged vegetation, 18-24oC, June – August. Multiple spawning. Trout Cool well oxygenated water, gravel substrate, physical cover important. Deeper water – runs and pools. Physical cover important. 4-20oC. clean gravel/cobble substrate, riffles, October – December. Migratory. 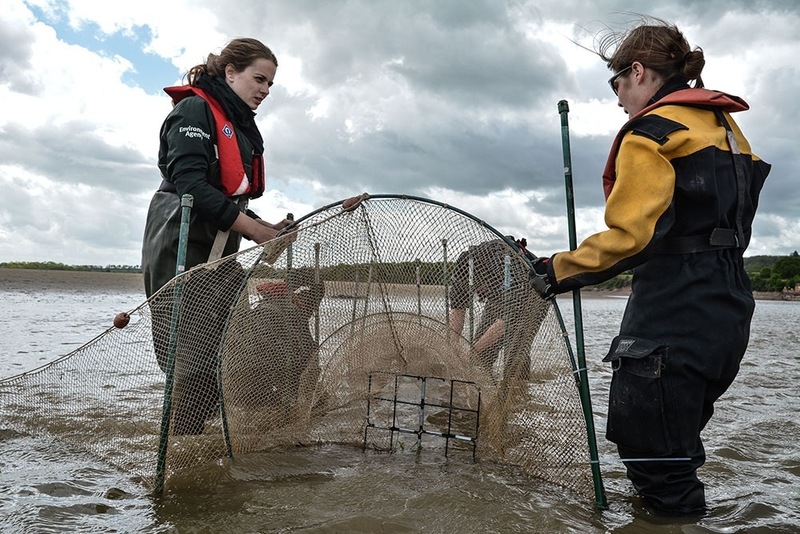 We will make good use of all the information we receive, adding to our existing knowledge of spawning habitat and using it to inform our future planning and restoration work. 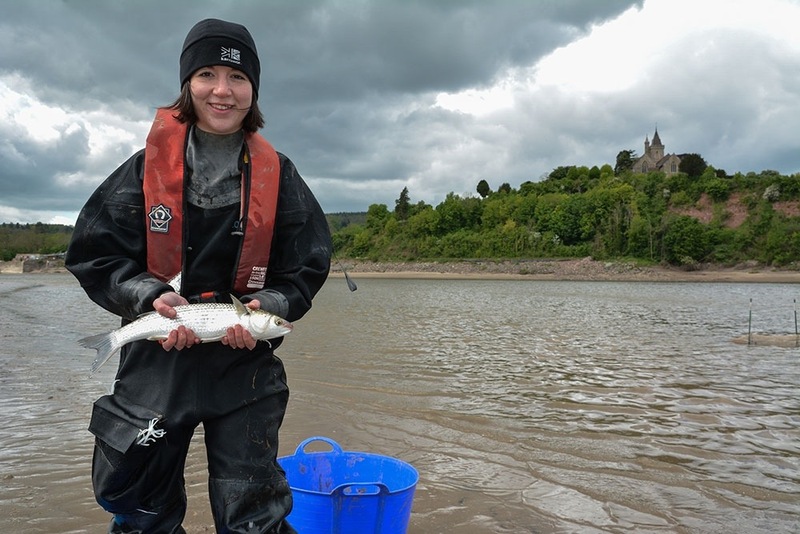 All our fisheries staff will also be joining in and we’ll let you know what we’re finding via the #spawningwatch hashtag. 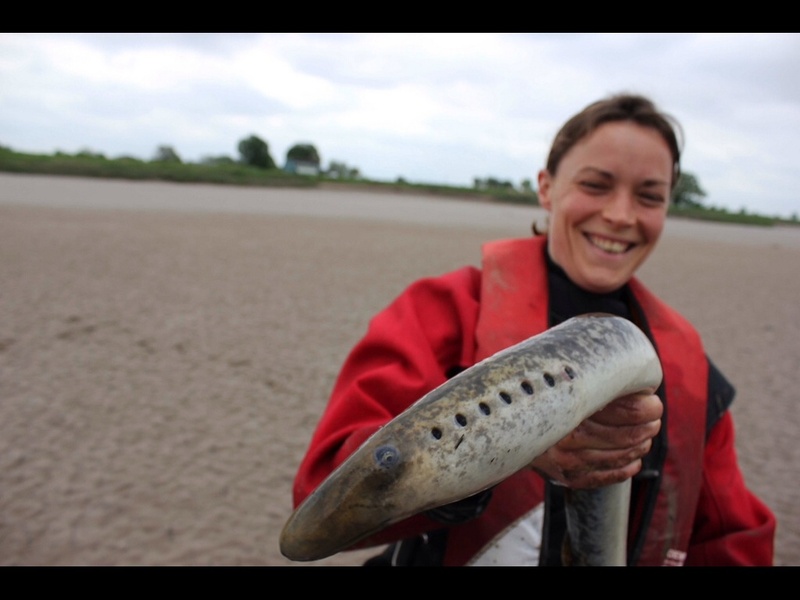 We may even catch up with the long distance travellers that migrate back to our rivers from the deep Atlantic such as the elusive Sea Lamprey and the rare Twaite Shad. 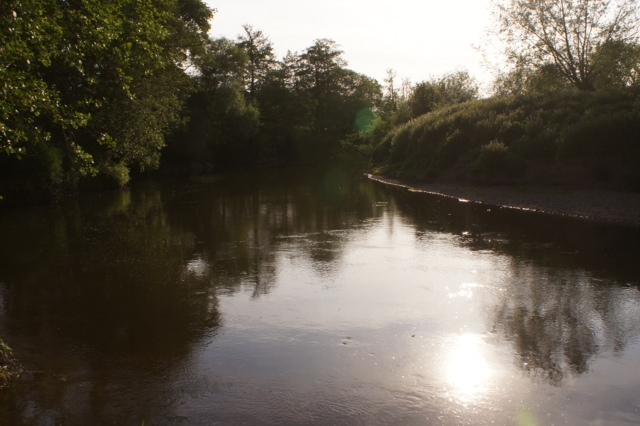 Please note at this stage we’re only looking for reports and information from the Severn and Wye catchments (most of Shropshire, Herefordshire, Worcestershire and Gloucestershire).